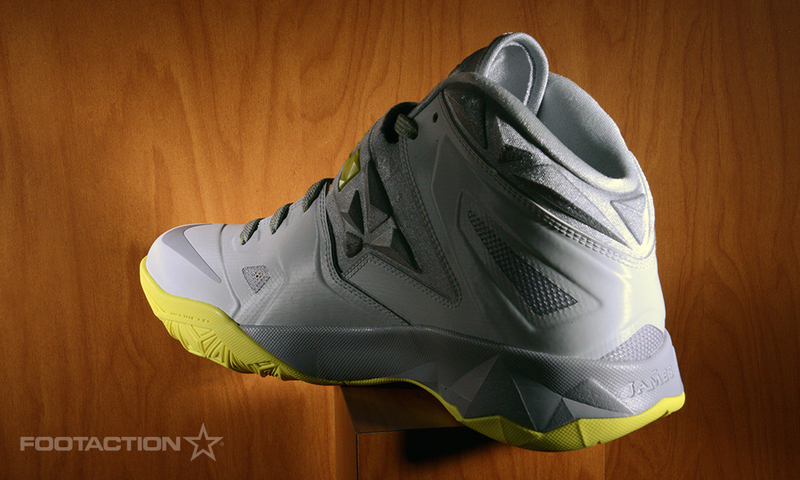 Weighing in at 12.9 ounces, the LeBron Soldier VII is performance ready for the court and street ready off the court. 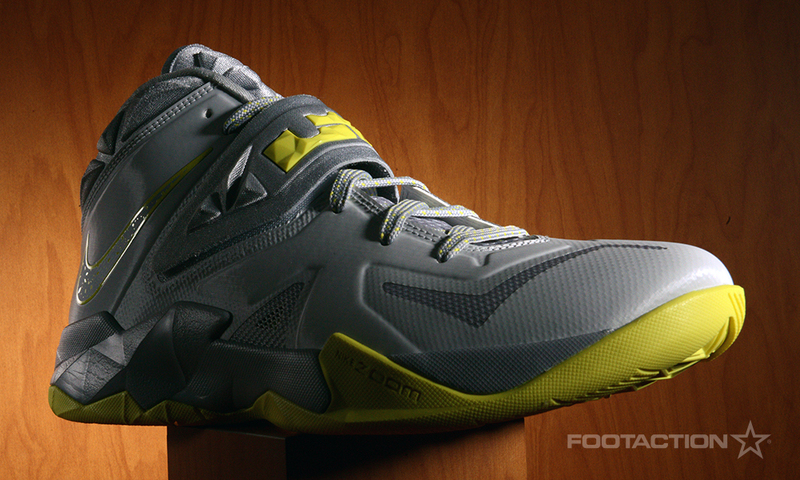 Hyperfuse construction keeps the shoes light and breathable. 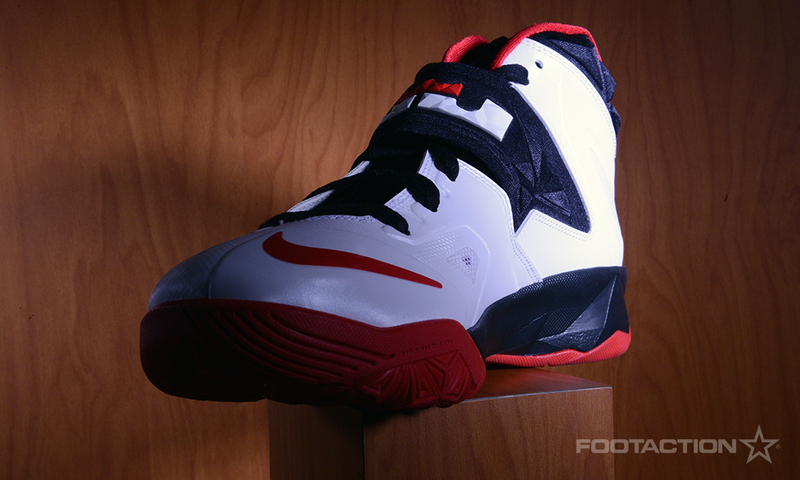 The midfoot strap, a signature in the LeBron Soldier line, adds support and stability. 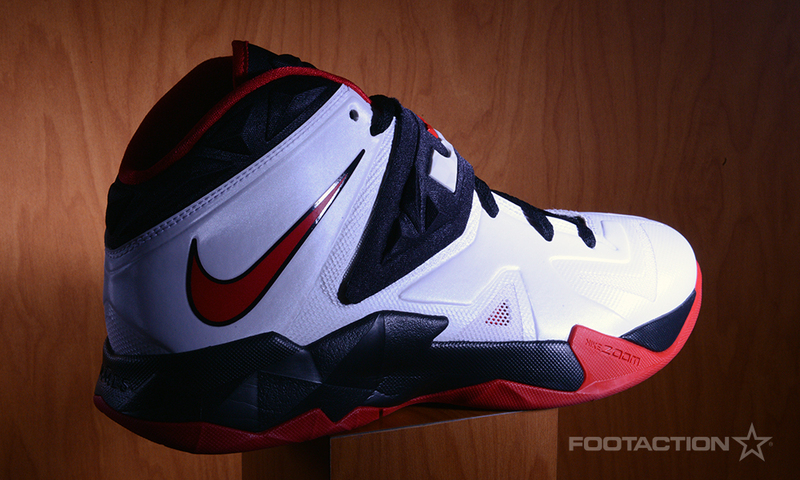 With forefoot zoom and plush Phylon midsole cushioning, you will always have a soft, comfortable ride. 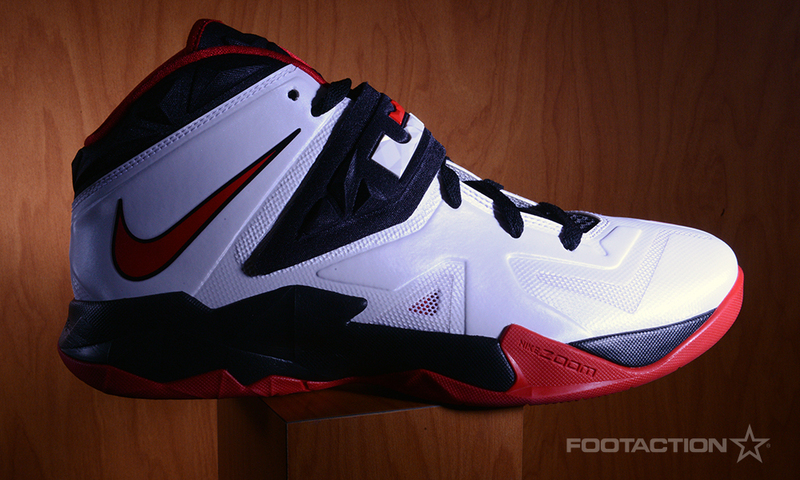 The latest Soldier VII to release is the white, black, university red colorway, the colors of the Miami Heat. 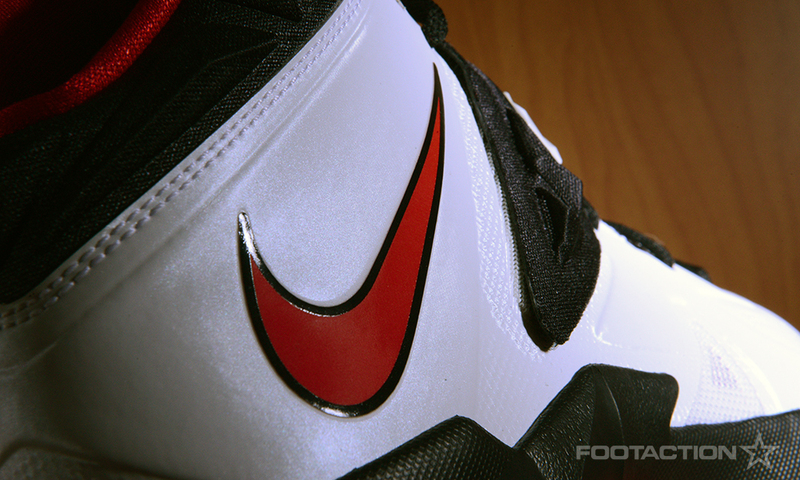 Black works the laces, midsole, strap, tongue, and the ankle collar while red makes up the outsole and the inner lining. 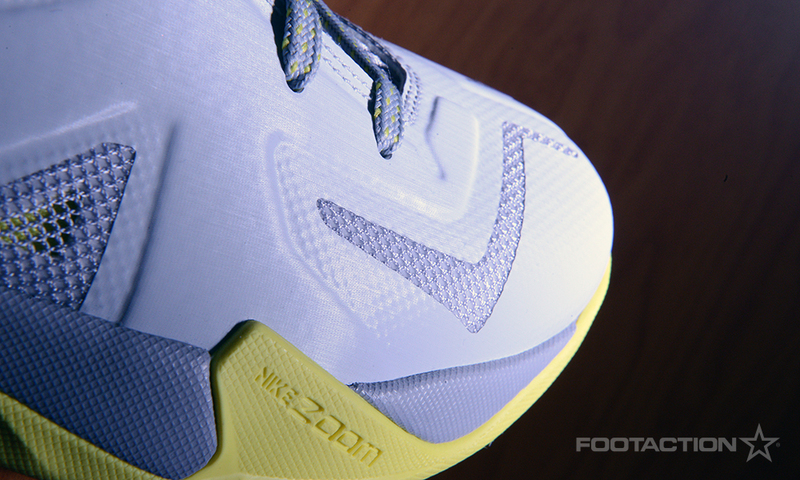 The rest of the Hyperfuse upper is in a nice clean white. 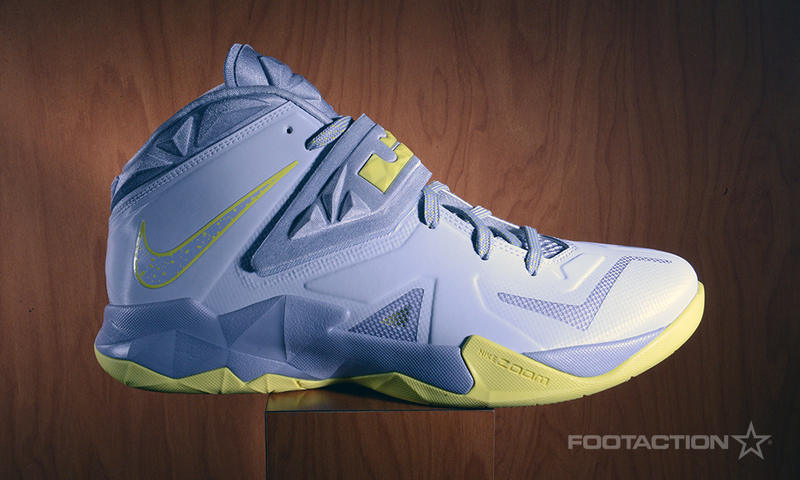 The Nike LeBron Soldier VII is available now at Footaction stores and Footaction.com for $125.